Taking a helicopter tour is definitely a once in a lifetime experience, and one of the most important aspects are the images and video you take during the trip. 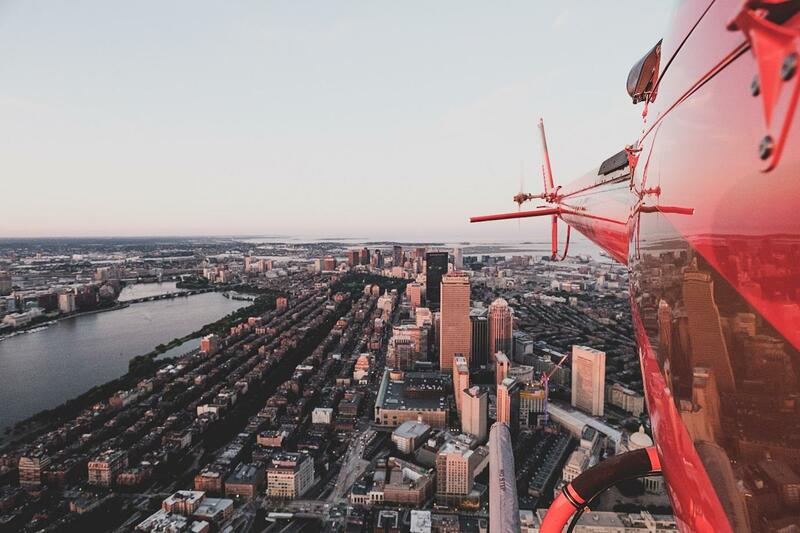 Seeing as this doesn’t happen every day, it makes sense to do a little research first, and with that in mind, here are some tips on how to get the very best photos while flying in a helicopter. This is essential as you do not want to be hampered by your apparel. Wear tight-fitting garments that do not flap around. If the temperature will be on the chilly side, wear tight fitting leather gloves, as this allows you to make fine adjustments on your camera. Taking pictures with helicopter rides demands a level of planning and forethought, in order to get the maximum from the experience. It goes without saying that you need to ensure you have sufficient memory to take as many pictures and video as you want, so make sure you have adequate batteries and storage space, and you’ll be very glad you did. It’s always a good idea to spend some time thinking about the type of shots you wish to take. If your trip is in Sydney, for example, you have the iconic Sydney Harbour Bridge and Sydney Opera House, and perhaps the pilot will give you a variety of elevations if you ask him nicely. A short discussion with the pilot will help him to accommodate you regarding taking pictures, and the pilots will do what they can to accommodate a photographer. It is wise to remember you are in a moving vehicle, so you will have to compromise a little. The pilot can hover for a few seconds, which does make things a little easier. Ideally, you need to find a balance between your f stop and ISO, and if the helicopter allows for a 360 degree view, so much the better. There are great articles that will help you with camera settings while filming from a helicopter, allowing you to get the most from the experience. Obviously, there is a scope of difference in helicopter tour providers, so try to find one that does not put restrictions on your photography. The tour operator would be happy to help in any way they can, and by asking outright if they are OK with aerial photography, you won’t waste your time with an unsuitable tour. If you are well prepared and take all of the above into account, the trip should produce some quality images and film that will help you to remember this once in a lifetime experience. It is worth mentioning to the tour operator that aerial photography is a critical part of the experience and they will do what they can to accommodate you. Once you have booked the flight, you and your group can relax and prepare your camera equipment ready for the big day. Previous Post How Easy Is It To Lease a Rental Property in the US?